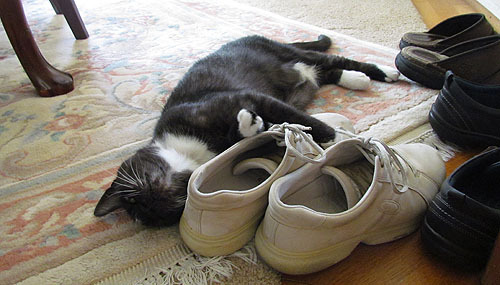 After a hard day of being a cat, there’s nothing quite so satisfying as Marian coming home and pulling off her shoes so you can get a nice big snootful of that lovely foot aroma. Am I right or am I right? You know I’m right.